Baby Ebony – “MY Team MY”: Baby Ebony just keeps churning out new music, but “MY Team MY” is arguably the Indianapolis rapper at his best. His melodic rapping puts to shame mumble rappers who often try to employ a similar flow. Meanwhile, the beat is simultaneously fluid and hard-hitting, as if the smoothness of water and the intensity of a gut-punch collided into one joint soundscape. Durand Jones & the Indications – “How Can I Be Sure?”: The Bloomington soul outfit released a stellar sophomore full-length on the 1st of the month, and I enjoyed it quite a bit more than I did their breakthrough debut. For me, though, American Love Call’s highlight is easily the powerful penultimate cut, “How Can I Be Sure?” The phenomenal falsetto of drummer Aaron Frazer really shines through on this track, which is as jazzy as it is soulful. I can’t tell you how many times I’ve found myself in the car singing along, never quite able to reach those same high notes he does. Bobby Donnelly – “Playing With My Mind”: Just the other night I saw Bobby Donnelly perform at the Hi-Fi for March’s New Faces Night, and though I had zero expectations for his set (having not heard of him beforehand), by the time he and his band were walking off the stage, he had at least one new listener in yours truly. Donnelly’s fuzzy blend of funk and blues serves as the perfect party soundtrack, and it’s experienced even better in person. His newest single “Playing With My Mind” is no exception. Porch Kat – “Falling Out the Window”: I was scouring for upcoming local shows when I stumbled across Porch Kat, a groovy, funky jazz collective based out of Muncie just psychedelic enough to trip you out and just progressive enough to keep you intrigued. Bassist Alex Kilmer is also charged with the duty of vocalist; his strange voice and quirky lyrics paired with the jazzy rock instrumentation is a partnership that works rather well on their debut EP With a K, which just released a couple of weeks back. This is perhaps most prevalent on “Falling Out the Window,” the meandering opening track that features a tricky false ending before actually finishing on the same riff with which it started. Alyssa Campbell – “Fight”: Anderson-based piano pop artist Alyssa Campbell also released her own debut EP Megaphone earlier last month. The entire EP is chock full of jazz influence, but this jazz sound is especially prominent with the steady groove of the EP’s opening track “Fight.” It’s a fun tune that sets the right kind of framework for the rest of Megaphone, which itself is solid in its own right. Lando Martian – “Danny Phantom”: I love being turned onto quality local artists by their peers, and that’s precisely how I came across Lando Martian. His flow is fantastic and wordplay on-point, but what really stands out about the lead single from his forthcoming full-length is the gripping dissonance that lasts for the duration of “Danny Phantom” and leaves me wishing that it was longer than just two minutes. THE WLDLFE – “The Other Side”: Less than a year removed from their debut LP I’m Not Worried Anymore, Indy’s favorite indie pop quintet is back with another dreamy new tune. Six months ago I marveled at how it seemed like THE WLDLFE had really found their sonic sweet spot, and I would say that on “The Other Side” this is even truer now than it was before. The lush lament harkens back to past hits like “Oversentimental” while still feeling like its own separate thing. 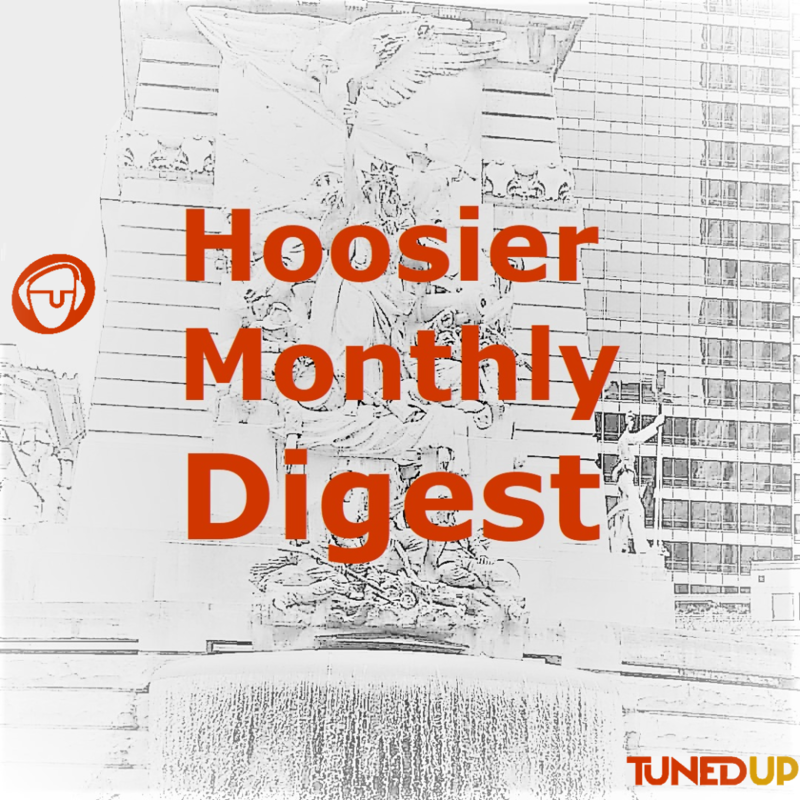 You can find all of my Hoosier picks in one place, whether you use SoundCloud or Spotify, each with its own set of exclusives. Be sure to go follow the playlist if you like what you hear!